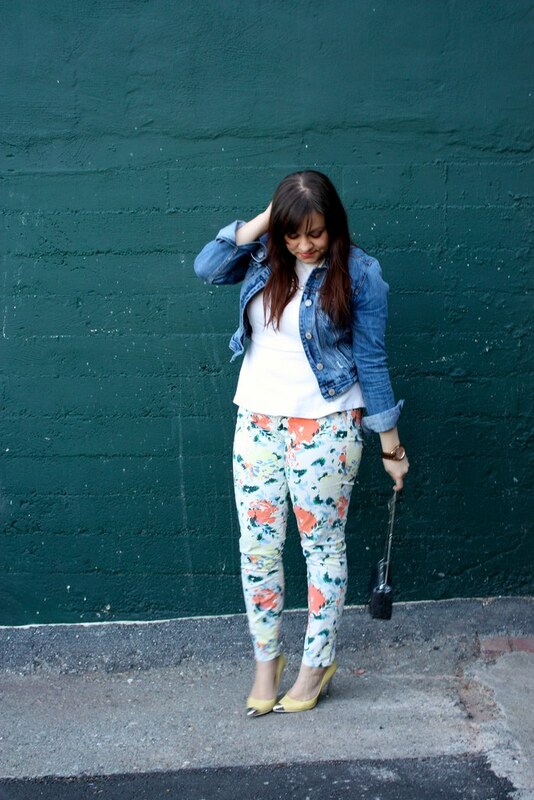 I've gotta be real honest: I really, really fancy these floral skimmer jeans that I picked up from Gap recently. 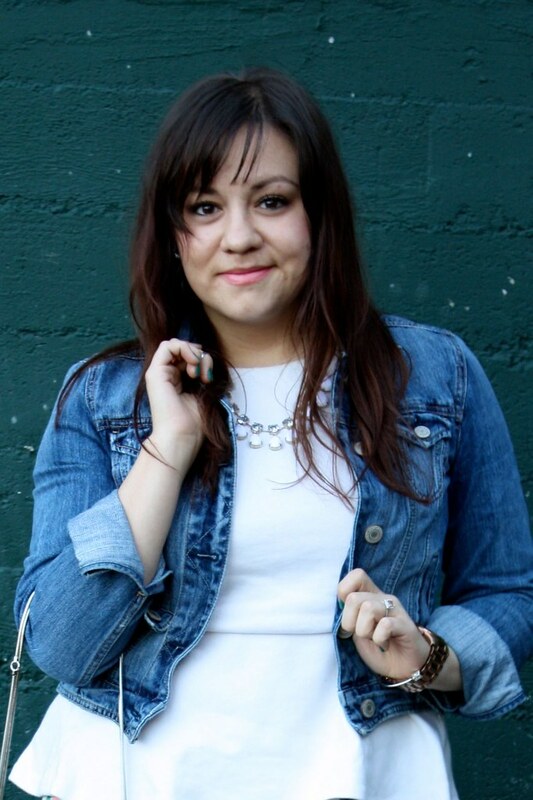 Gap has long been one of my go-to's when I shop for denim. I love the quality I can get for such an affordable price. Then when they introduced their skimmer jeans, I couldn't have been more hooked. Standing at 5'4" I often struggle with regular jeans being too long and short or petite length being too short. While I realize Gap's skimmer jeans are meant to be ankle length jeans, I'm just simply happy with jeans that I don't have to have hemmed--perfect fit! 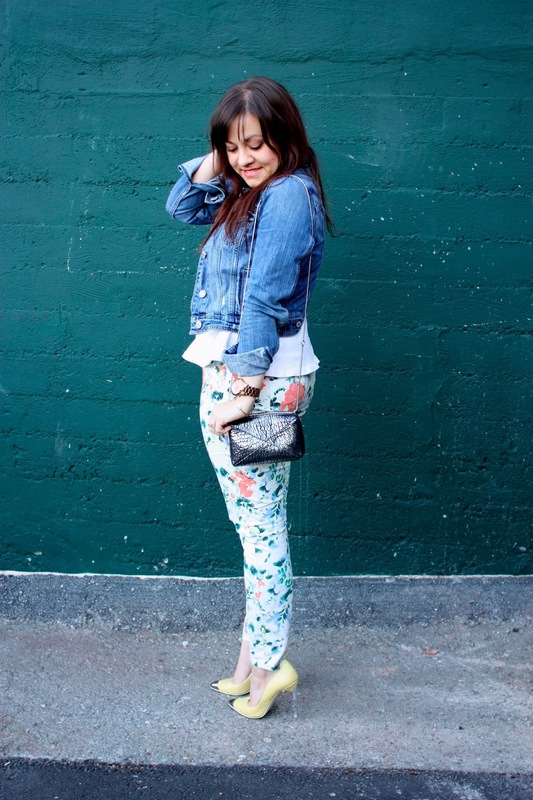 Finally, they make their skimmer jean available in a wildly amazing floral print; it's just my perfect spring denim and I simply just couldn't be more in love. Be warned, these pretties are going to be on heavy rotation! 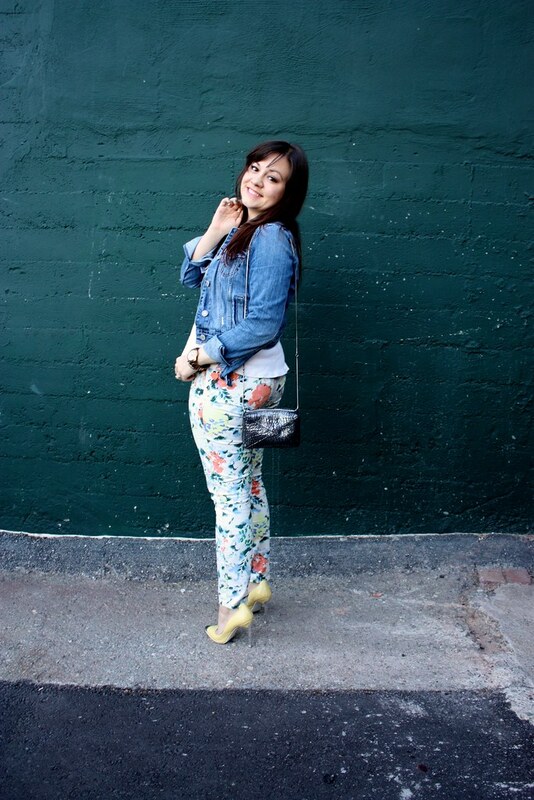 This time around, I wore the floral jeans with a white peplum top and played up the bits of yellow in the jeans with my yellow cap toe pumps. 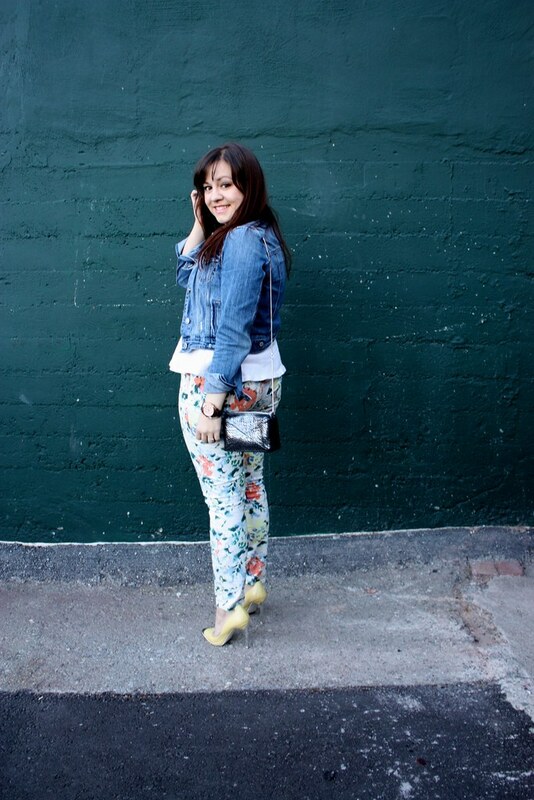 It's not quite warm enough to go out with bare arms so I layered a cropped denim jacket over the peplum. As a nod to the silver cap toe pumps, I grabbed my new metallic d'Andrea bag and layered on the silver necklace Dogeared added to the LuckyFABB gift bag I received. 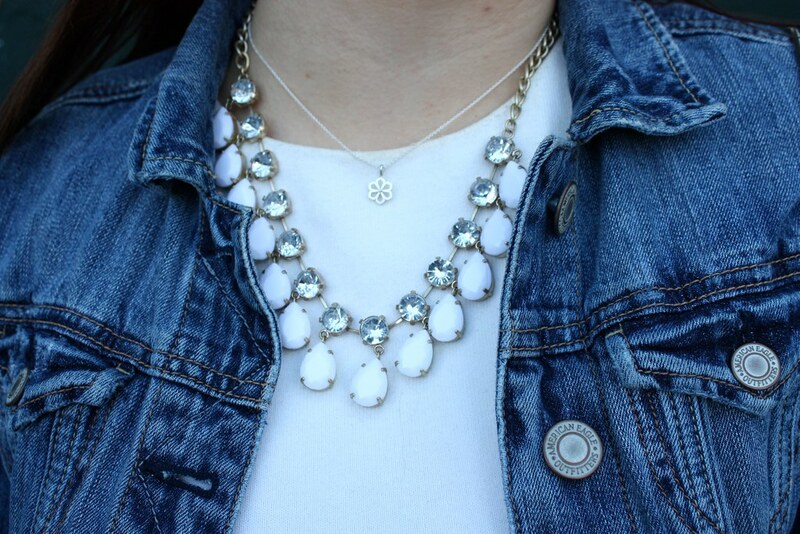 I also couldn't resist adding on my enamel drop necklace for a little more sparkle. Finally, I matched my lips to the coral in the pants and I was ready to go! Love the skimmers! They are my go to jeans pretty much everyday! I've been eyeing those in the window at the Gap! 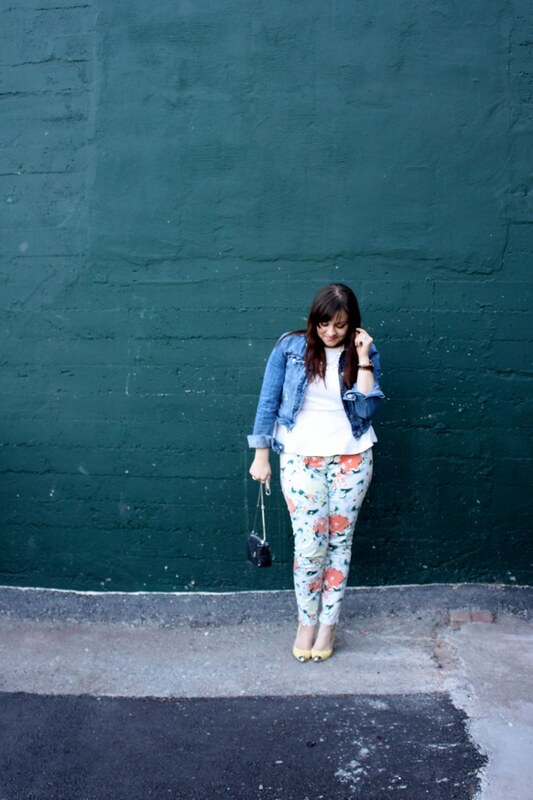 I have a MAJOR weakness for floral pants and jeans! You look amazing! 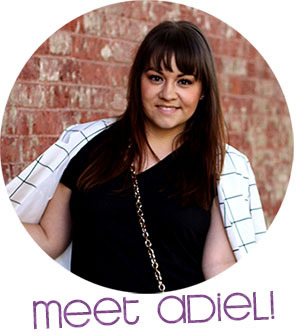 Loved meeting you at Lucky FABB! Keep in touch! 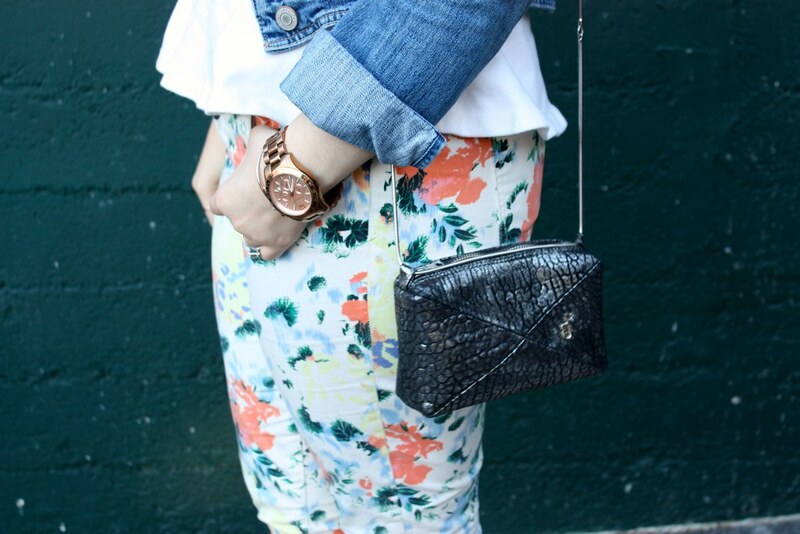 Love these floral pants!! 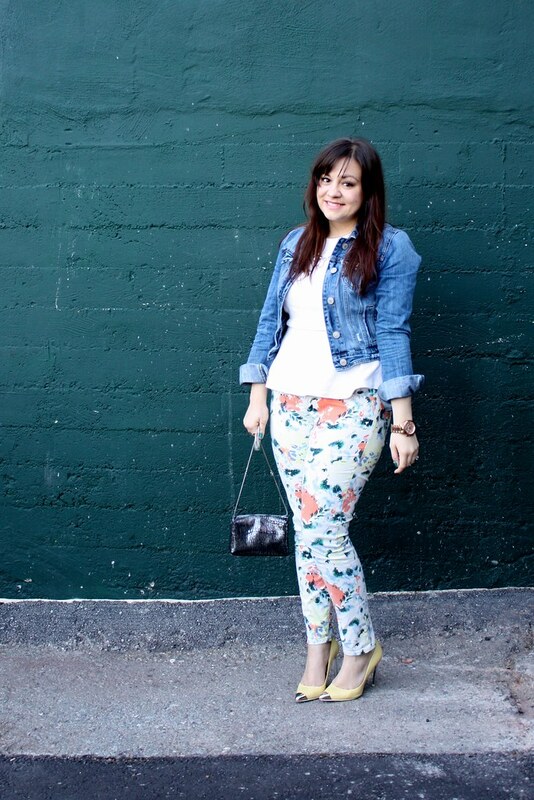 Those shoes are perfect for this entire outfit! 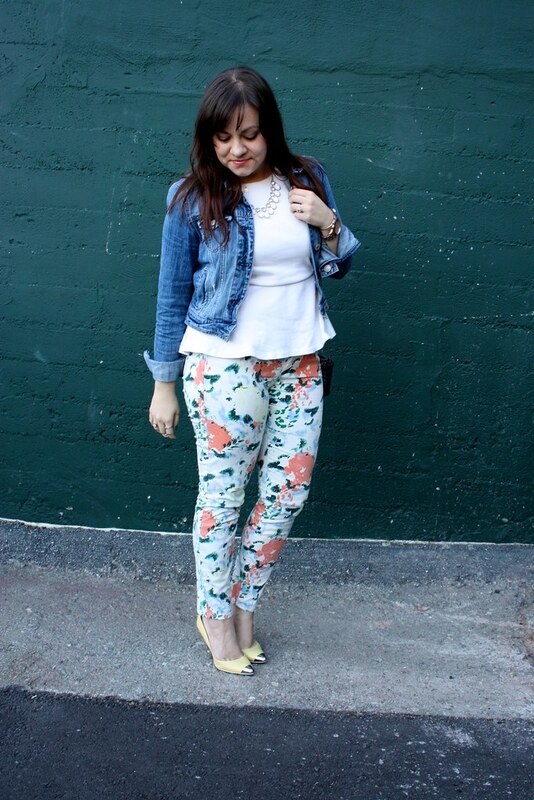 Ever since I got my H&M floral pants, I've now become obsessed! I'm going to have to check out the Gap prints.